On Monday, I lost control of my vehicle and flipped it a few times. 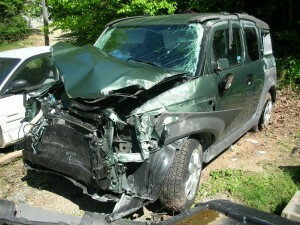 Luckily, I walked away from the pernicious accident with only minor cuts and bruises and a few sore tendons. I am still counting my blessings. Because of Memorial Day Weekend, all one-way rental cars were unavailable. I had to hitch a ride 150 miles from West Virginia to the next state of Pennsylvania just to rent a car. But alas, two days later, I was able to obtain a rental car, gather all of what remained in the Element, and headed to Washington D.C. The trip has been put on indefinite hold until I can obtain a new vehicle. West Virginia is extremely different than I imagined. Vast, lush forests paint the landscape. The rolling Appalachian and Allegheny Mountains run through a good portion of the state, bordered by the muddy Ohio river to the North East. White water rafters find themselves at home conquering the turbulent rapids of the rivers while hikers trek the dense vegetation. On Friday, I went rock climbing along the New River Gorge with a few expert climbers from Pennsylvania, who were generous enough to let me use their climbing equipment. To the West lies Huntington, the second biggest city with a population of 49,000. 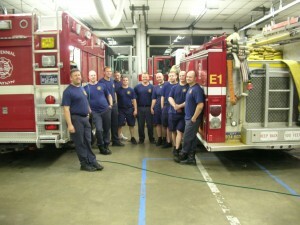 I spent the last couple days living there at the main fire station. It’s like a house: a fully stocked kitchen, laundry room, gym, movie room, game room, and dormitory. But, with the amenities, come long 24 shifts. It takes a man of certain character to want to live this lifestyle – low pay and long hours in hazardous situations – all of which can cause rifts in relationships and marriages. And yet, it is this hero who calls it his gain, because these are minor inconveniences when compared to the nobler cause – rescuing people from burning buildings, opening mangled cars, acting as backup paramedics, and helping the damsel in distress. His mellifluous loving nature naturally exudes. Firemen and many in the South already have what Neil Young strived for – a heart of gold. Coming from the white-collar world where one constantly has to monitor his own speech for fear of discipline from human resources, it is refreshing to see that with these firemen, there is no beating around the bush in the vernacular. And this is not out of malice or spite, but out of a camaraderie reminiscent of kin. I tell you the truth, it is a noble thing to want to regulate speech and use discerning words to respect the comfort levels of others. But none is richer than the family that is willing to tolerate direct criticisms without fear of retribution. This is the beginning of the heart of gold. Last Saturday, while walking the streets, I passed by the construction of a massive tent. 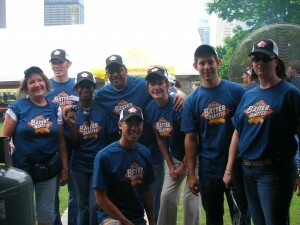 Turns out, a California based company named Batter Blaster was trying to break the Guiness Book of World Records by creating the most amount of pancakes in an eight hour period. One day later, I was paid to lead three teams to help break this world record. We were able to shatter record by creating roughly 80,000 pancakes. I don’t think I want to eat or flip another pancake for months. It’s events like the this one that make this trip not only fun, but also educational. I’m starting to learn about human interactions in the social sphere. And so, I’ve been practicing my social engineering, not in the negative notion of using people for an end goal, but in the positive notion that building rapport is important in forming relationships. It’s a shame that some of life’s most important lessons are not taught in school; it’s a code of the streets. Each state has its own peculiar subtleties in the law. It is foolhardy and sometimes even dangerous to assume that laws are shared across states. Smoking, in particular, differs rapidly from state to state. In the South, smoking and non-smoking sections are prevalent. States that are “forward-thinking” in their plans to deal with smoking ban it inside public buildings. So, the question is, why is smoking socially frowned upon? Is it because second hand smoke emanates and spreads to others or is it because the person is willingly spending money to harm himself, develop bodily ills, ultimately raising costs for health care? Hypothetically, if smokers only smoked in their private dwellings, would smoking still carry the same social stigma? My wager is that it would. But if that happened, then there would truly be no difference between smokers and people who eat junk food. Both are conscious choices and addictions. Both cost extra money, hurt the body, and cause a plethora of ailments. At what point are we held responsible for damaging ourselves? There isn’t a lack of nescience on this subject – everyone is educated enough to know that smoking is bad for their body. Why do we not attach the same social stigma to people who eat massive amounts of junk food? The amount of overweight American adults exceeds the amount of American smokers by a 2 to 1 ratio. With heart disease as the leading cause of death in the United States – more than diabetes, suicide, Alzheimer’s, cerebrovascular diseases, respiratory diseases, influenza, and unintentional injuries – combined, why are we not paying more attention to this debilitating yet avoidable problem? Instead, fast food restaurants and places that serve double portions are thriving. Double stackers and quad-stackers are now equated with a hearty meal. Every ailment stems from improper aliment. Yes, we are given the fundamental right to do what harm we want to ourselves, save suicide. But, are the potential problems worth the short-term gratification? Partners become less sexually attracted, health care skyrockets, cars get bigger, more gas is consumed, increasing amounts of people starve, and every so often, one falls face down from a heart attack. Perhaps we should focus our energy on something that many have problems with: the gorging of unhealthy foods. It seems this roller coaster we call life runs in the dark. We never know when it will turn, go upside down, or plunge into the abyss. Failure is a guarantee in life, and disappointment is a subset of that. Disappointment stretches across racial, social, economic, and cultural boundaries whether it deals with a friend, a job, an appointment, or a planned vacation. We always tell ourselves that life will be better, only to find that once we conquer the hill, that the roller coaster dips, and brings us to another valley. Only through proper planning and precaution will the roller coaster avoid the deep drops. That’s where we wanna go, way down in Kokomo. Turns out, Kokomo is a tiki bar, and there are no beaches around. When I arrived last Thursday, it was closed. The place I had dreamed of going to my entire life was not open. I was told to come back in a few days, where Kokomo would be open and a live band would be playing for a party for “hundreds of bartenders from all across Florida”. 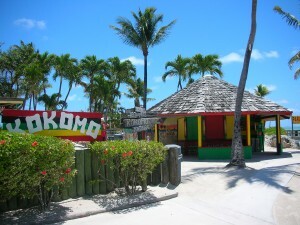 When the day came, Kokomo was once again closed, and there was no party. It was no risible matter. On the upside, I managed to stay with an awesome local for a few days at Big Pine Key. He showed me the intricacies of crab fishing and boating. I even managed to swim to a private, secluded island.